Completing the roundup of my review on Rhodia products from Everything Calligraphy are Rhodia bloc pads in different sizes and colors. These are actually pretty nice. 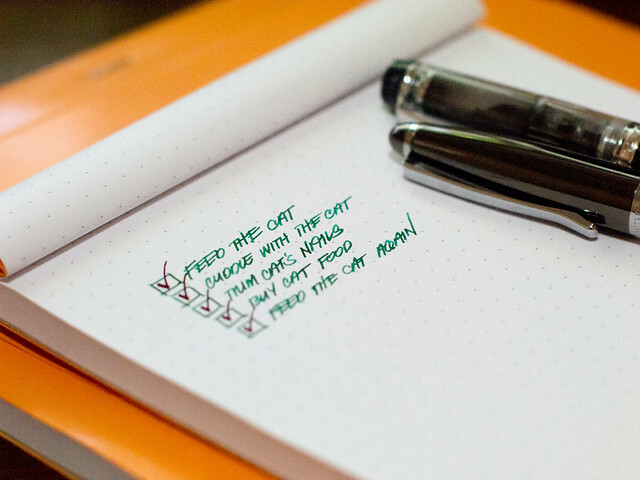 It’s a challenge to find fountain pen friendly pads because many will bleed through and feather in an awful way. A lot of pad papers I’ve used are only ballpoint pen friendly. 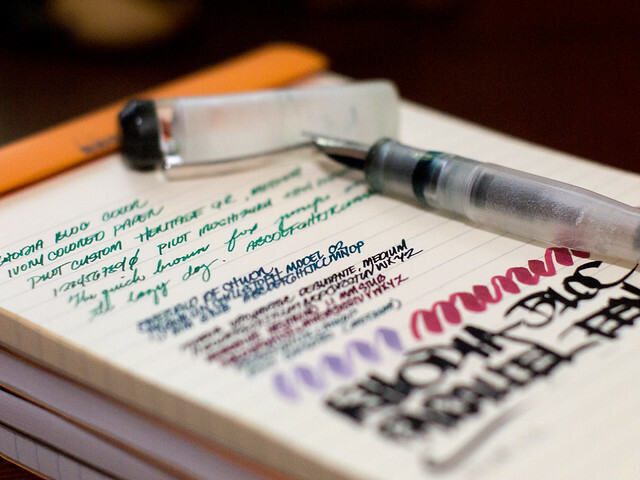 A few do hold up well with fountain pens and rollerballs, but the texture isn’t as pleasurable to write on. Rhodia is a bit expensive. Relatively more expensive than most pads you’ll see in bookstores or school supply stores. The quality of the paper is a lot different, though. Probably the only locally available “rival” in quality is the Elias notepads. Once you use one of these, you’ll understand why they’re pricier. I tried out both the color and the classic pads. I’m leaning more towards the color pads because I like the texture of the paper better. I also like the color of the pages, they’re cream-colored and it really makes the fountain pen inks I tried on it look a lot lovelier. The photo below shows the difference in the color of the paper. Below is a photo of the page of writing samples. As expected, the paper held up very well with fountain pens, brush pens, and parallel pens. The 3.8mm parallel pen did have a bit of bleed through. Not too bad, but it’s noticeable since the ink I used was the default black cartridge, which is highly saturated. 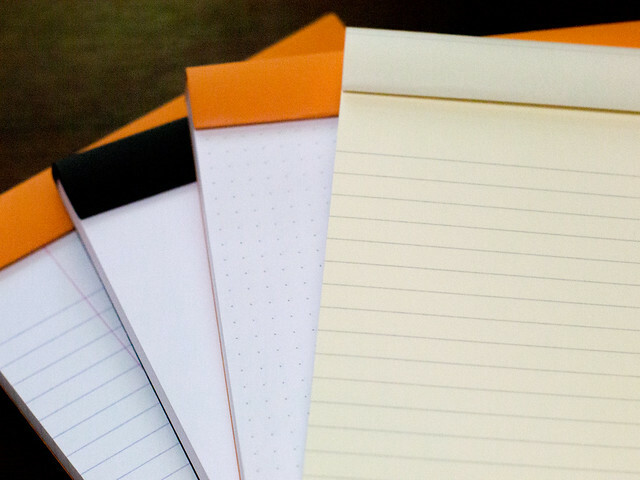 I think the paper is different from the Webnotebooks, but the writing experience is close to the Rhodia color pads. I love the texture of the paper. 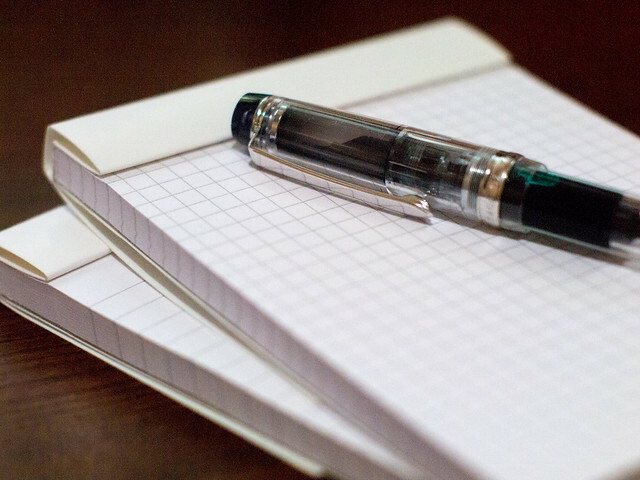 It’s different from the classic pads (which tends to be too smooth for some of my fine-nibbed, dry-writing pens). 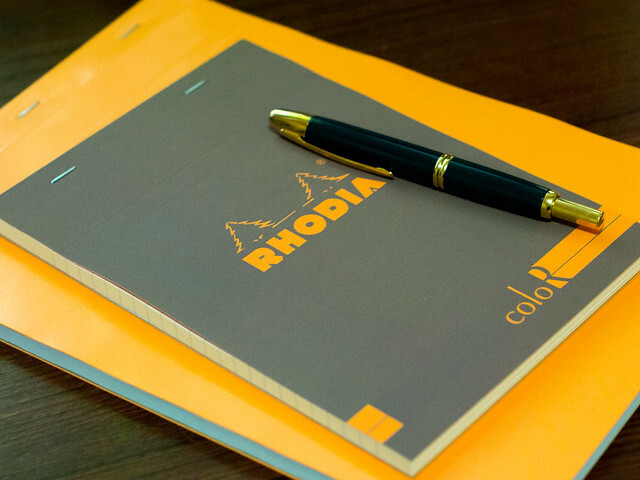 Rhodia’s color pads are 90 gsm and the classic pads are 80 gsm, both handle ink pretty well, but I personally like the color, quality and texture of the paper used in the color pads. I noticed the white pads are more resilient to calligraphy pens, though. I’m not sure why, it could be just the pens that I have (I don’t really have that many to test it with). Here’s a close up of the writing samples for the classic pads. I love that these pads can really show off the shading, sheen and shimmer of the inks and the unique character of each ink and pen combination. Such is the pleasure of using good paper. I also like that the binding makes it easy to fold the cover. 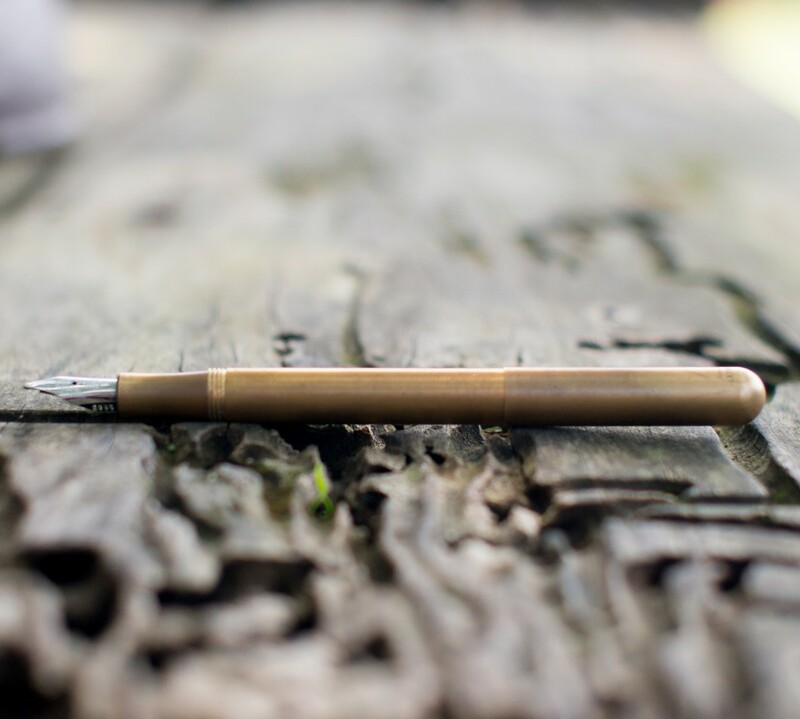 It’s very durable and doesn’t break apart when you’ve been using up the pages and not tearing them off. I used up my last large Rhodia pad without hardly tearing a page off, and the binding held up really well. If you do need to tear off the pages, the mini perforations make it easier to do just that without compromising the binding. 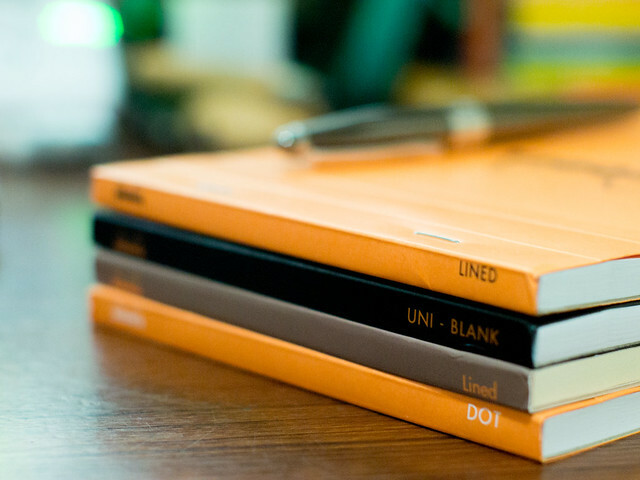 Rhodia pads and other paper products are available at Everything Calligraphy. DISCLAIMER: THIS IS NOT A PAID POST, I DON’T DO PAID REVIEWS.